Searching for some inspirational passion quotes i.e. inspiring quotes which help you to follow your passion. If yes, now you don't need to search for them anymore. As here I have compiled down some of the best and inspirational quotes on work and passion. Just hope you will like the quote compilation and able to find some inspiring words which inspire you to follow your passion. There is scarcely any passion without struggle. 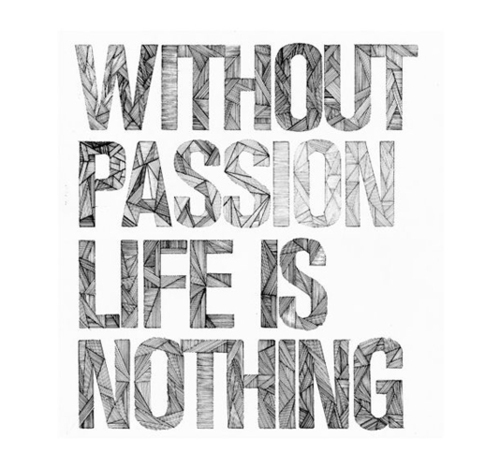 Passion is a feeling that tells you: this is the right thing to do. Nothing can stand in my way. It doesn't matter what anyone else says. This feeling is so good that it cannot be ignored. I'm going to follow my bliss and act upon this glorious sensation of joy. Work for a cause, not for applause. Live your life to express, not to impress.